Matt’s XY Fairmont wagon was bought brand new in London by its lady owner on 2nd November, 1971, and still cruises the streets of London today. 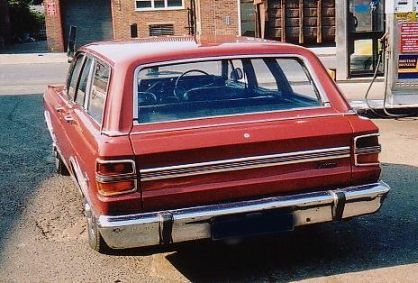 Matt grew up with XY station wagons as his father owned two of them in the seventies. The first was bought new from Invicta Motors in Canterbury, and was bronze with a black interior and served his father well in his business until it was destroyed in an accident in 1975. 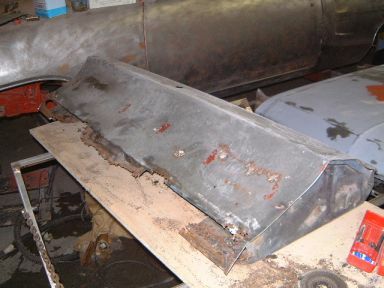 To replace it, Matt’s father bought another which served him equally faithfully until rust claimed it in 1980. 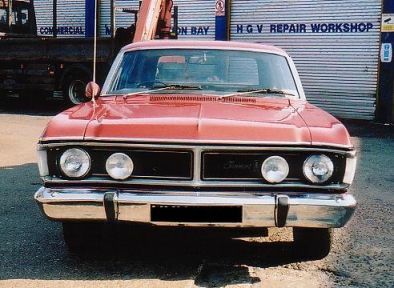 Imagine Matt’s surprise when in 1997 he saw an advert in an AutoTrader for an ‘Australian Ford Fairmont’ and on going to view it, finding an XY wagon in exactly the same colour of paint and trim as the car he used to ride around in as a child. While the car was excellent in terms of interior, chromework and trim, the bodywork, as is often the case with these cars more used to warmer and sunnier climate, was due for some renovation. After a bit of restoration and mechanical work, Matt put the car on the road for a couple of years, before deciding to have the restoration done properly. Once back on the road as you see it here, Matt continues to use it as his daily driver. Fitted with a 302ci Windsor V8 and a three speed automatic gearbox, decoding the VIN shows that it was manufactured in July, 1971. 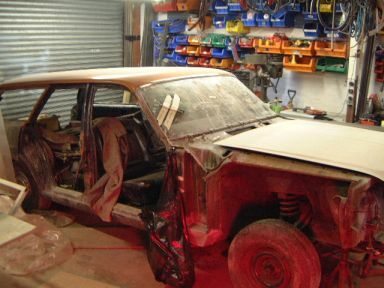 The restoration of Matt’s car - a cautionary tale of rust. 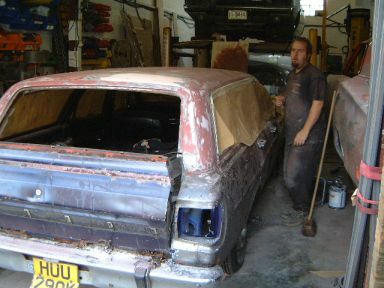 Matt would like to give due credit to the guy in the picture, Chris Semark, who worked for Matt at the time and did most of the stripping, bodywork, paint preparation and actual spray painting. As well as fixing the rust on the tailgate, new door bottoms were built, the bottom 8 inches of the front wings were fabricated and new inner and outer rear wheel arches were constructed from stretched and re-contoured Mercedes W123 panels. Truly excellent work resulting in the beautiful car you see at the top of the page. 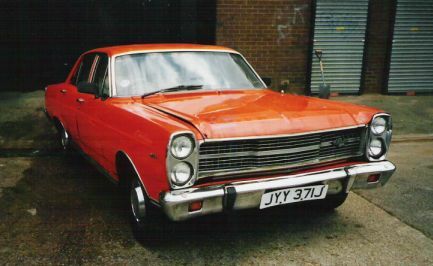 Matt also passed on this photo of a ZD Fairlane that he used to own. Imported by its Australian owner in 1994, it was fitted with the 351ci Windsor engine but was incredibly rusty apparently - can you spot the trend here - and was broken for spares some time ago.